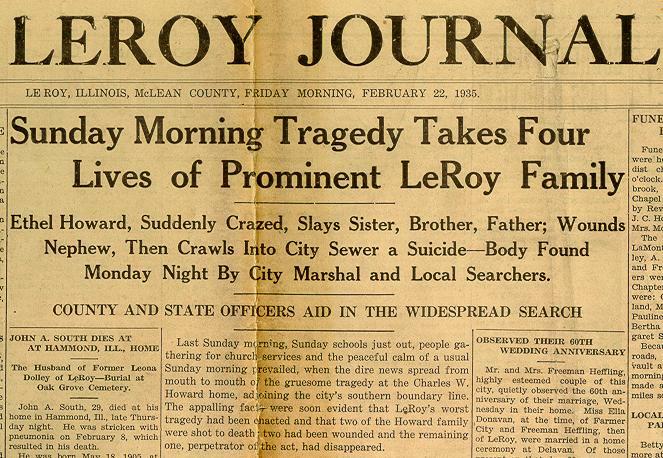 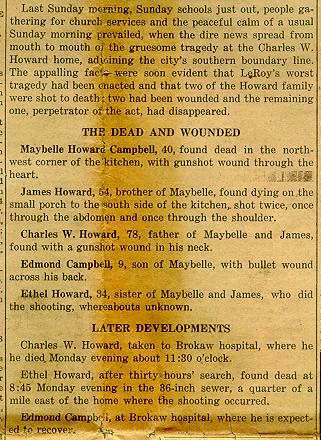 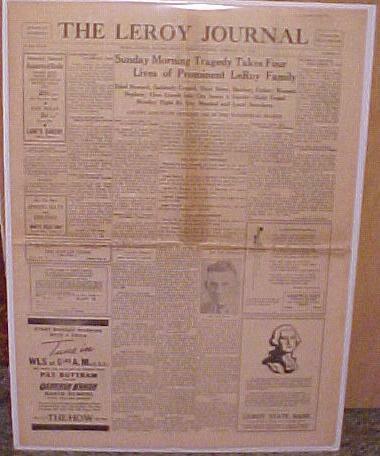 Feb 22 1935 edition of the LEROY JOURNAL.Features headline regarding "The Howard Tragedy".Ethel Howard had gone mad and killed almost everyone in the house.She was to have been committed on the monday following the event(sunday)but was home for a weekend visit before going to the asylum.The murder house still stands in Leroy today.A dark moment in Leroy's History. . .